It’s not easy to trouble shoot vmware ESX or vCenter. 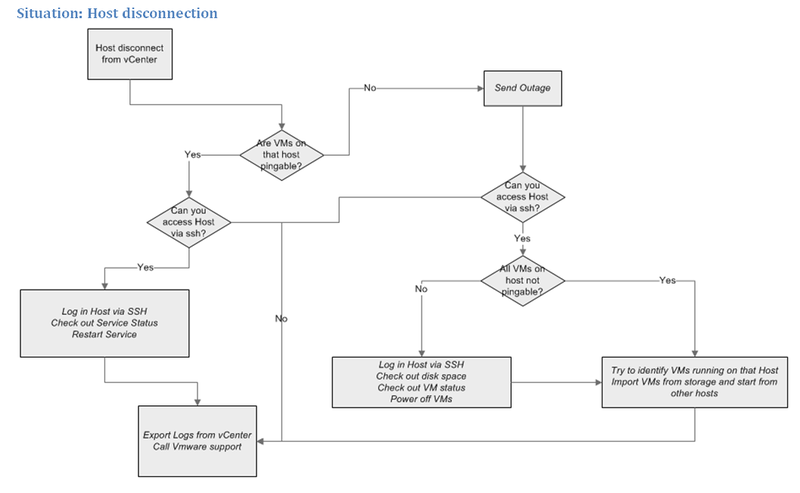 When emergency happens (like host disconnected from vCenter), you may feel you are lost in millions things and have no idea where to start. However, before you pick up your phone and start to call Vmware support, there are few things you can do and this article supposes to show you the basic methods. I’m giving an example please let me know what you think about it.